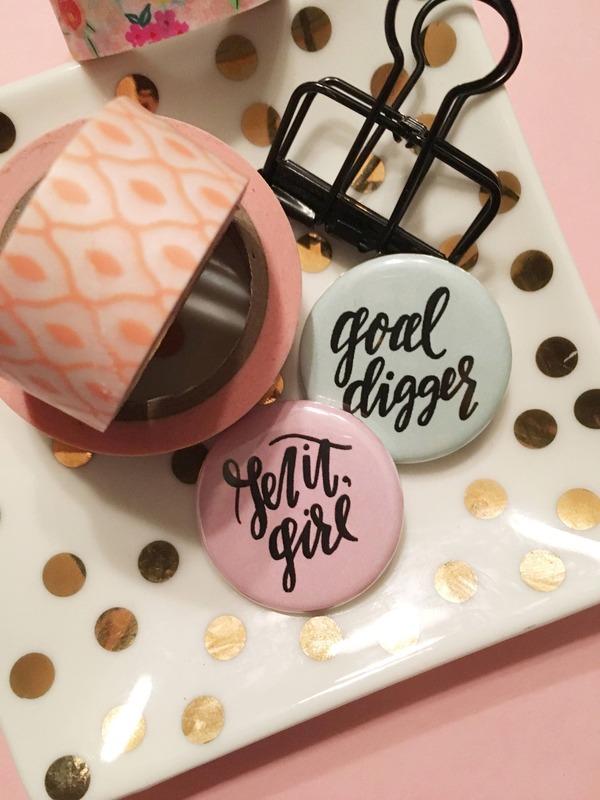 Express your inner awesomeness with this cutie pie pin set! 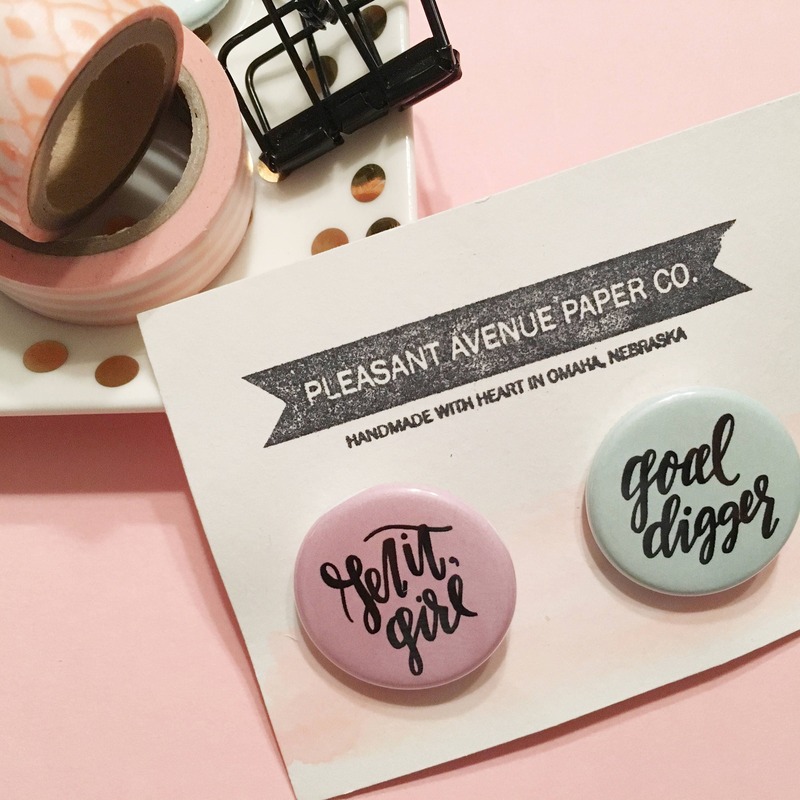 These 1.25" round button set includes two original Pleasant Avenue designs. 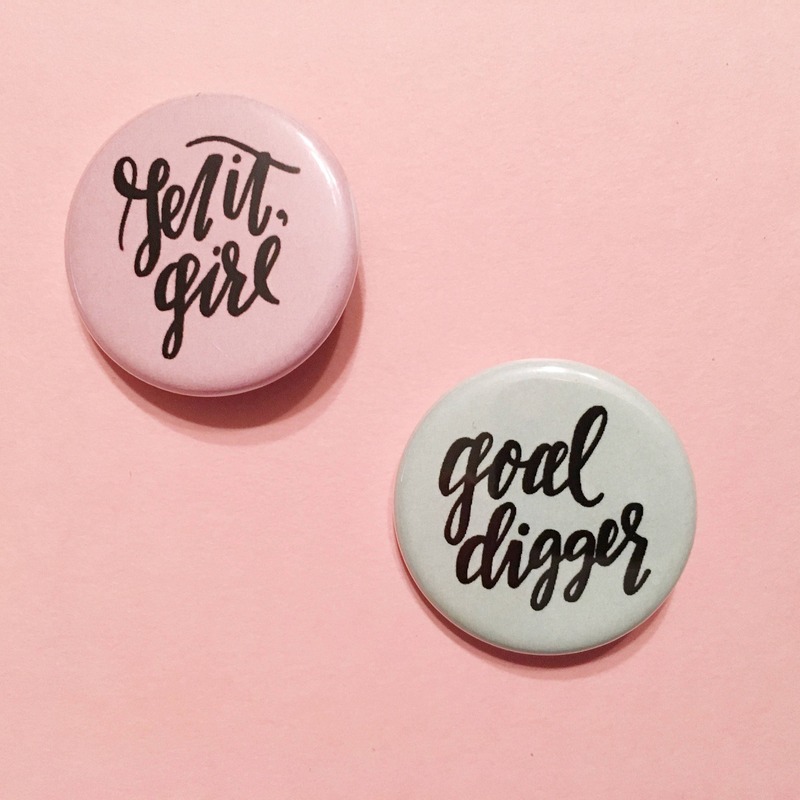 This order includes a pink Get it, Girl pin and a mint Goal Digger pin.